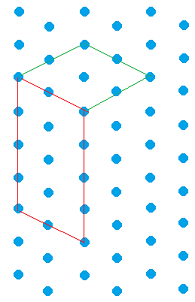 An isometric drawing uses isometric dot paper. 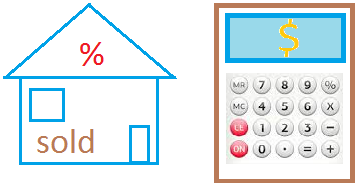 It is not easy to draw objects that have length, width, and height such as a box on a piece of paper. 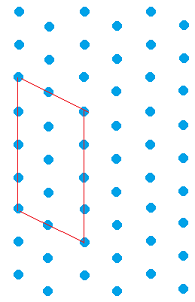 In order to draw or make objects that are three-dimensional, you will need the following isometric dot paper. 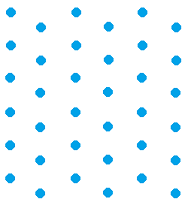 Pay attention to how the dots are laid out. 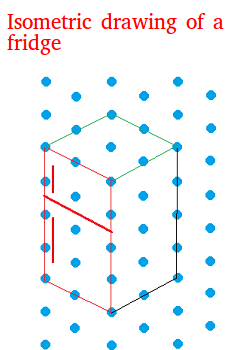 Let us try to make an isometric drawing of a fridge for example. We will show 3 sides of the fridge from the corner view. Corner view just means that the corner of the fridge will face you as opposed to the front of the fridge facing you. First, draw the front of the fridge. We show this in red. Second, draw the top of the fridge. Some of the top is shown this in green. Third, draw the side of the fridge. Some of the side is shown this in black. Finish the fridge by drawing the doors.